Neil has performed all over Ireland as well as internationally at the prestigious Vicar Street in Dublin, Kilkenny Cat Laughs Festival, Montreal Just For Laughs Festival, Melbourne International Comedy Festival and the Edinburgh Fringe Festival where his shows Bookmarks and Crème Delamerereceived multiple 5 star reviews. In 2014, he toured with The Fresh Prince of Delamere throughout Ireland and followed it with another sell out tour ofCTRL + ALT + DELAMERE in 2015. In the corporate world he has worked with a wide variety from banking to sport, pharmaceutical to insurance. Using his amazing quick wit and intelligence to entertain diverse audiences. 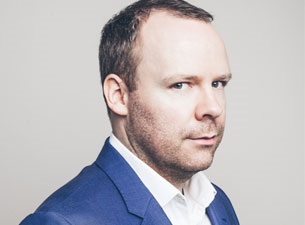 To book Neil Delamere for your event or to talk to us about your event requirements, please submit the enquiry form or call us on 087 718 1360.